The main TSX index closed lower Friday as energy and financials led losses for half of the main sectors while IT and materials were the best performers. 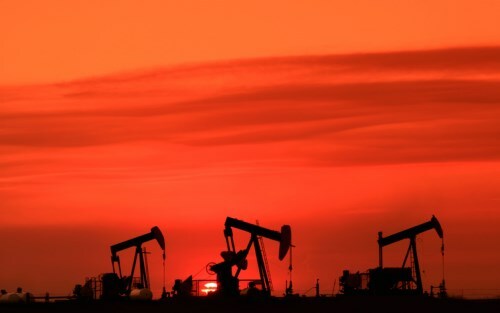 Oil prices slipped almost 1.5 per cent in the session but closed out the week higher as concern grew over rising US production which threatens to dampen the impact of the output caps agreed by OPEC and others. Wall Street closed lower, except for the Nasdaq, as GDP data showed a slowdown for the US economy in the last quarter of 2016. European indexes closed generally lower although London’s FTSE gained on optimism from the British prime minister’s meeting with President Trump. Asian indexes closed mostly higher although trade was thin with some markets, including China, closed for public holidays. General Motors dealt the Canadian auto industry a blow Friday by announcing that it was cutting 625 jobs in Ontario as part of a production shift to Mexico. The jobs at the Cami Automotive plant in Ingersoll were previously said to be safe despite production of the GMC Terrain model to Mexico in the summer, as the Ontario plant was making high volumes of the firm’s Chevrolet Equinox. GM is shifting production even as President Trump threatens to impose a 20 per cent border tax on products produced in Mexico for US consumption. The Ontario municipal employees’ pension fund is investing U$1 billion to help Fairfax Holdings fund its acquisition of global insurance firm Allied World. OMERS will have a 21 per cent stake in Allied, the third insurance sector business it has invested in with Fairfax in recent years. The investment will mean that Fairfax can offer a larger cash element of its $4.9 billion offer for the insurer.